" The ASP8024 premium recording and mixing console was designed by analogue “guru” David Dearden. The ASP8024 combines Audient’s legendary analogue circuitry with innovative DAW control and automation to provide the ultimate centre piece for production studios and education facilities. Each of the input channels features Audient’s impressive Class A preamp and 4 band EQ – a combination so versatile that many ASP8024 equipped studios no longer find the need for outboard preamps and EQ. The console features 24 bus routing, 12 aux's, 2 dedicated cue sends, 4 stereo returns, stereo bus compressor and a comprehensive monitor section." The console we are selling is from a private studio owned and operated by a well know record producer, the mixer is in full working order and is in very nice condition, the only sign of wear is on the edges of the end cheeks. 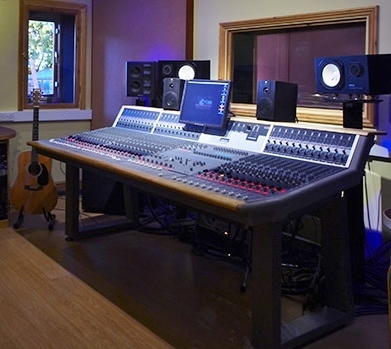 The console can be seen and demonstrated at the studio by appointment only, the studios is based in the Midlands.